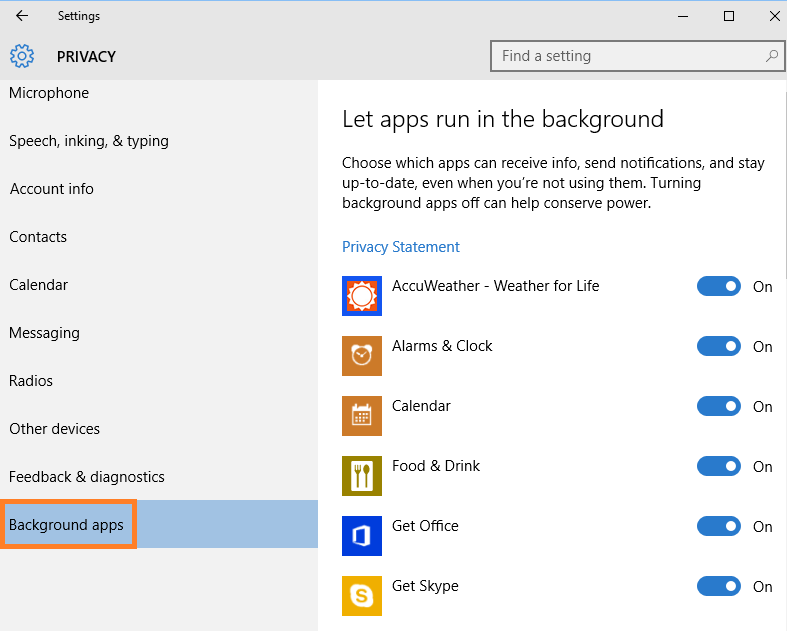 Windows 10 automatically start apps and run them in background. The apps generally started are calculator, movies, weather, xbox, windows store etc. Note that even if you open task manager and try to disable them in the start up tab, they will not be found in the auto-start list. They are called upon by windows runtime and thus to disable them you have to do it via system control panel. These apps send and receive notification and updates even if you are not using them at all. Turning off these apps to run in background is necessary as they eat up RAM and CPU of the system while running in background. Lets us see how to disable apps running in background. Step 1 – Press windows key + i to open system panel. Step 2 – Click on privacy as shown below. Step 3 – Click on Background Apps from the left menu and in the list of apps, turn off and disable those apps which you probably won’t use. Step 1 – just open task manager by pressing Ctrl + Shift + Esc. 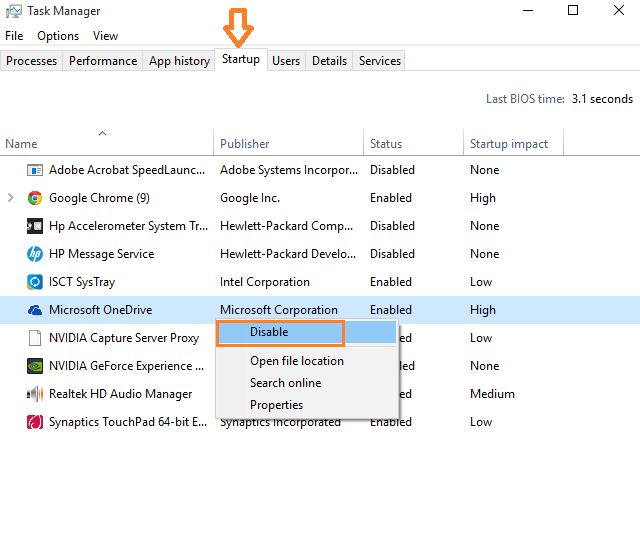 Step 2 – In the task manager click on startup tab. 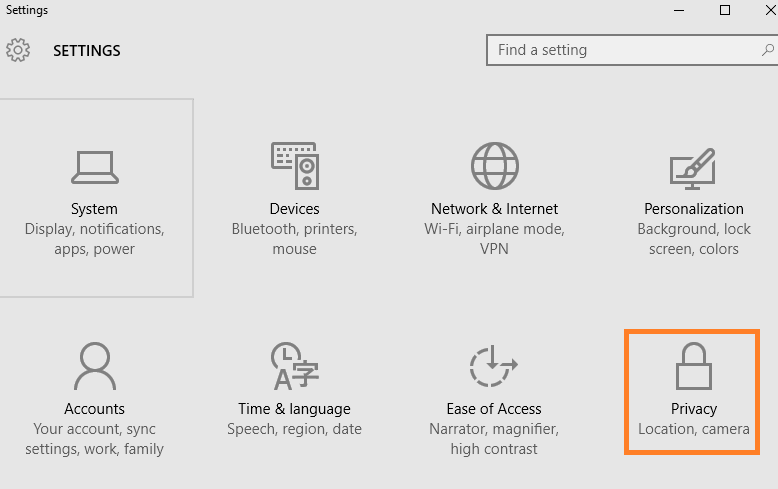 Step 3 – Right click on any program or app which you want to disable on startup.